I'm doing a Java project using Eclipse. Currently by default, it shows the output in the Console. Is there any way to redirect it into a text file? 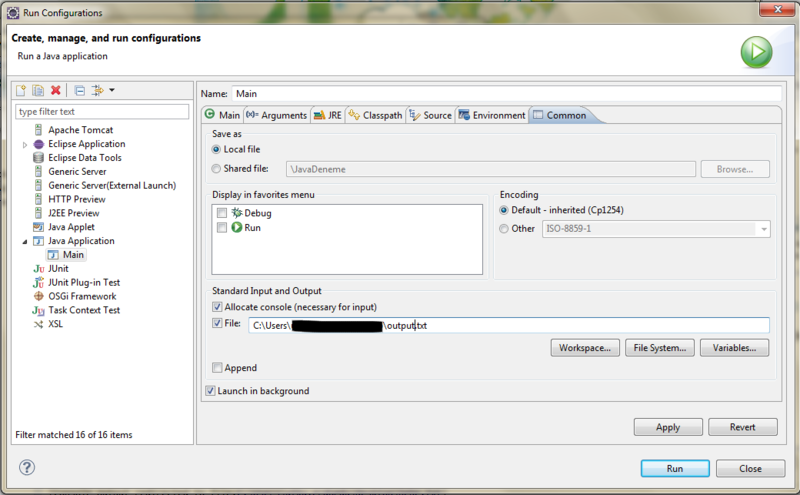 Open Run Configurations window and add a new run configuration or edit an existing one. At the configuration tabs, go to Common tab. There you can specify a file to direct the output. Not the answer you're looking for? Browse other questions tagged java eclipse console stdout or ask your own question. How can I select a default interactive console in PyDev? Why does the “>” command in a Windows console not redirect all messages to a file?